ABERDEEN, S.D. 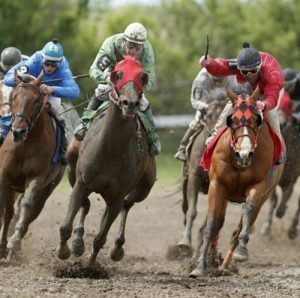 (AP) – There will be no horse racing this year at South Dakota tracks for the first time in decades. Northeast Area Horse Racing announced Tuesday that the Aberdeen track will not host races in 2019. The move comes two weeks after the state’s only other race track suspended activities this year in Fort Pierre. It also follows state legislators approving $120,000 over two years to help keep the horse racing industry afloat. The Aberdeen organization’s president, Bubby Haar, says they cannot meet the South Dakota Gaming Commission’s new bond requirement, which is intended as insurance to cover losses or unpaid vendors. Haar also expressed doubt that the state’s allocation was enough to sustain both racing locations. He has said races used to cost more than $300,000 per location, per season.